Debrecen is the "capital city of the Great Hungarian Plain", and the county seat and largest city of Hajdú-Bihar county in eastern Hungary. It is the second largest city in the country with about 200,000 inhabitants, and historically the most important city in Hungarian Protestantism. They used to say "who in their sane mind would build a city in the middle of nowhere where there are no mountains, forests, water or roads?" Still, the answer is a mystery, but Debrecen is the second (or third, depends on the census) largest city of Hungary. It used to be Europe's largest Calvinist city (was called "The Calvinist Rome"), and the Great Church (Nagytemplom) is a reminder of the city's heritage. Debrecen also has a university with the beautiful main building. 1 Tourinform Debrecen, Piac u. 20, ☎ +36 52 412250, fax: +36 52 535323, e-mail: debrecen@tourinform.hu. M-F 09:00-17:00, Sa 9:00-13:00, Sunday: Closed (Jul-Aug weekdays until 18:00). Ticket office hours M-F 09:00-16:30, Sa 09:00-12:30. Tourist information, souvenirs. Tickets for events. 1 Debrecen Airport (DEB IATA) (5 km southwest of the city center), ☎ +36 20 467 9899. Small airport with a cafe, car rental kiosks inside. There is no currency exchange office, only EuroNet ATM with draconian exchange rates (10% worse than regular bank one) with additional Ft 920 exchange fee. Free WiFi. Ben Gurion Airport, Wizzair, 2 times a week. Charter flights also come regularly to the airport. Getting there: the airport bus takes you to the city centre, train or bus station. Taxi to the city center costs Ft 3000-4000 (2018). There are regular trains approximately every hour from Budapest Nyugati Station. The duration of the trip is 2½ hours. Check the following site for timetables. Other possible destionations include Eger (need to change train at least one time, 120 km, Ft 2200, 2½ hr), Karcag (59 km, 7-10 per day, one hour, ~Ft 1200), Nyíregyháza (hourly, Ft 1100, ~1/2 hr), Szerencs (99 km, four direct, mostly change at Nyíregyháza, 67-136 min). 2 Debrecen Railway Station (Debrecen Vasútállomás), Petőfi tér. Buses to Eger (135 km, 7-9 direct per day more with change, 2½ hour), Karcag (direct three more with change, 80 min), Nyíregyháza (53-71 km, five direct, 60-110 min), Szerencs (three hour, all must to change at Tokaj or Miskolc, nine per day). 3 Bus Station (Autóbusz-állomás), Külső Vásártér 22, ☎ +36 40-200-756, e-mail: titkarsag@hajduvolan.hu. Daily 24hr. Rundown building with no currency exchange offices, WiFi or POS terminals (so prepare some cash to pay for tickets). Online timetable. Debrecen is connected to the national highway system by the motorway M35. From Budapest, follow M3 towards Nyíregyháza and then the M35 (diverge near the 186 km sign). A highway toll applies, and it had to be paid in advance (at most gas stations, price is about Ft 3000 for a regular car for 10 days.) It is about a 2-hour drive. Main road 4 is somewhat shorter, but it is not recommended because it is often overcrowded (hence much slower) and accidents are not uncommon. Public transport uses local tickets that cost Ft 330 (or Ft 400 if you buy it on the bus). Don't try to use Budapest tickets; they won't work. The 'DKV' runs two tram, five trolleybus and sixty bus lines in Debrecen. The tram carries people to the most frequently visited places. It starts at the railway station, goes along the main street, turns at the Great Church a bit, goes to the Old Forest, the Zoo, Theme Park and Public Bath, then around to meet the universities, and then back. A cheap way to see most of the city is to get a ticket at the train station, get on, and enjoy the trip until you're back where you started. Bus lines are good, in that you can reach nearby places fast. There are two main taxi companies in the city: City Taxi Debrecen and Főnix Taxi, both have mobile apps. 1 Great Church (Reformed Great Church, Nagytemplom), Kossuth tér (In City Center close to Kálvin tér shopping center), ☎ +36 52 412694, fax: +36 52 412694, e-mail: nagytemplom@info.hu. M-F 09:00-16:00, Sa 09:00-13:00, Sunday: after church service till 16:00. During services and official programmes the church is closed. Debrecen's most recognizable building and a symbol of the city. It is the centerpiece of what was once called "Calvanist Rome." Visitors can tour the interior, as well as go up in the tower to see the Rákóczi bell, the largest bell in Hungary, and excellent views of the city. Tickets: Adult/Reduced Ft 400/300. 2 Arpad Square Presbyterian Church (Árpád téri református templom), Árpád tér, ☎ +36 52 412801. 3 Greek Catholic Church (Görög katolikus templom, Istenszülő Oltalma Templom), Attila tér 1 (the tram is 600 m away. In nearby bus stop #5 and 15 buses and #2 trolley. ), ☎ +36 52 533207, e-mail: pokrova@freemail.hu. Masses M-F 06:45, 07:30, 18:00; Su 06:45, 07:30, 08:30, 10:00, 12:00, 16:45, 18:00 (summer). The church was built in 1910, in Neo-Byzantine, based on the plans of János Bobula. Unlike other Greek Orthodox churches there is no iconostasis here. The main sights are the inlaid altar and pulpit with mosaic ornaments in 1910. Valuable seccos and colourful glass windows ornate the church. 4 Csonka Church (Calvinistic Small Church, Small Protestant Church, Csonkatemplom), Kossuth utca or Révész tér 2, ☎ +36 52 342872, fax: +36 52 453569, e-mail: hivatal@kistemplom.hu. Opening hours by appointment M-F 08:30-12:30. 5 Bible Society of Debrecen Baptist Church (Debreceni Biblia Baptista Gyülekezet), Faraktár utca, 42, ☎ +36 30 9119887, e-mail: info@biblia-baptista.hu. 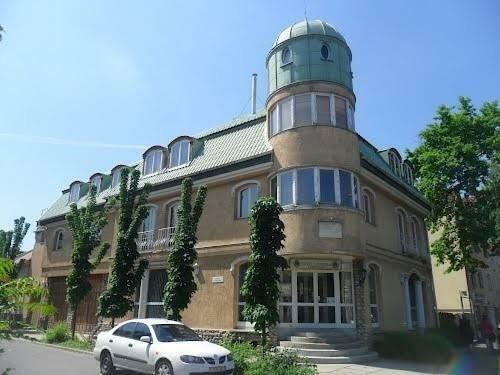 6 Kápolnás Street Synagogue (Kápolnás utcai zsinagóga, Status Quo Ante zsinagóga), Kápolnás utca, 1 (Close to the church at Pásti Street 4), ☎ +36 52 415861. By appointment. 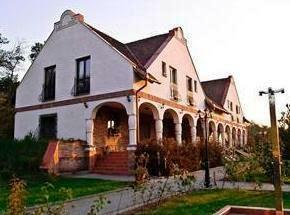 This was built in 1910 in eclectic style. This is a Byzantine structure of modernized Moor form, emphasized also by the large dome emerging from its wider environment. Free. 7 Mester Street Reformed Church (Mester utcai református templom), Mester utca Révész Square?. 8 Lutheran Church (Miklós utcai evangélikus templom), Miklós St., 3, ☎ +36 52 534408, e-mail: degy@upcmail.hu. Church service Sundays at 10:00. Only Lutheran church is in the City. The church was consecrated on 1 September 1889. The external dimensions of the church 21x8.3 meters.The main entrance opens to east.The five long window with semicircular closure was built in the south wall. The north side has no windows, only an entrance and the sacristy. 9 Pasti Street Synagogue (Pásti utcai zsinagóga), Pásti St, 6 (Center, 2-3 minutes from the Arany Bika Hotel), ☎ +36 52 415861, +36 30 8461703 (mobil), fax: +36 52 533273, e-mail: dzsh@enternet.hu. Service at 07:00 and 19:00 (summer). Orthodox synagogue. Built according to the plans of Eugene Berger in 1893. Mikve, kosher food, meal ordering. Reformed Church (Kossuth utcai református templom), Kossuth utca. Historical neo-Gothic church with polygonal apse, transept and western tower. Architekt Petz Samuel, built in 1887-88. Inside Neo-Gothic pulpit and chair of Moses made by Thék Andrew, Lord's Table by Gregersen, an Organ from 1894. The frescoes painted by Haranghy Eugene, in 1937. 10 Roman Catholic Chapel in the Cemetery (Római Katolikus Temetőkápolna), Benczúr Gyula utca 6. 11 St. Anne's Cathedral (Szent Anna székesegyház), Szent Anna utca 15, ☎ +36 52 536 652, fax: +36 52 536652, e-mail: plebania@szentannaplebania.axelero.net. Opening hours to church daily 06:30-19:00, Crypt: open only upon request. Saint Anne's Cathedral was built between 1721 and 1746. In the niches next to the doors on the left we can see the statue of Saint Stephen (István), while on the right his son Prince Saint Emeric (Imre). The main altar-piece represents the patron saint of the church Saint Anne teaching Maria. The oldest altarpiece represents the founder of the Piarist order, Saint Joseph Calasanzi. The carvings and statues of the by-altars are from the 18th century. The wall surfaces on the ceiling and underneath the windows show frescos and stucco ornaments representing saints of the Árpád dynasty. Free. 12 Veres Church (Red Church, Reformed Church at Kossuth Street, Verestemplom), Kossuth utca 65. (Near to Méliusz square, at the end of Kossuth Street), ☎ +36 52 537235, e-mail: debrecen-kossuth.utca@reformatus.hu. M-F 9.00-12.00 (Parish Office). The church got its ordinary name from the red bricks decorating the front walls. The fourth Reformed church was built from the donations of the Chief Justice and his wife in neo-Gothic style in 1887. Its special features include the murals which are unusual in Reformed churches. The frescoes without human figures recall psalms. University Calvinist Church (Next to the main building of the university), ☎ +36 30 6161146, e-mail: puskid@freemail.hu. The church was built in 1940 in classicist style. It was used as a library of journals, periodicals and music. Since 2006 it has been in the possession of the Reformed Church. 13 Déri Museum (Déri Múzeum), Déri tér 1 (right behind the Great Church, take tram #1). A place to see. It's a national museum with all kinds of arts. There is a nature display showing the animal life of the region, another collection featuring historical items from the region, and an art gallery featuring works from Hungarian artists. It's most famous work is Hungarian Mihály Munkácsy's Christ trilogy, three large paintings depicting Christ before Pilate, the Crucifixion, and Ecce Homo! 14 Ferenc Medgyessy Memorial Museum (Medgyessy Ferenc Emlékmúzeum, egykori városgazdaház), Péterfia utca 28 (just behind the Debrecen Plaza and most easily reached by tram #1). Displays the works and life of the artist. 15 Medgyessy Gallery, Piac Str. 31 (near to Széchenyi street corner - Tram). 16 László Holló Memorial Museum (Holló László Emlékmúzeum), Holló László sétány 8. (in Tócóskert, take bus #19). Housed on a one-acre park featuring a cottage housing the artist's works and a statue garden. 17 Delizsánsz exhibition hall - Post Museum (Delizsánsz Kiállítóterem - Postamúzeum), Múzeum u. 3 (across the square from the Déri Museum in the main post office). 18 Debrecen Literary Museum (Irodalmi Múzeum), Borsos József tér 1 (just north of the downtown, take bus #12, 15, 31 or 32). Has a permanent exhibit from the 1890 Csokonai literary circle. It also houses occasional temporary exhibits. 19 Kölcsey Központ (Modem) (MODEM Modern és Kortárs Művészeti Központ), Baltazár Dezső Square 1, ☎ +36 52 518 400. Amodern centre for high-profile art exhibitions and musical/theatrical performances. 20 Erdőspuszta exhibition hall (Erdőspusztai bemutatóház), Fancsika tanya 93/A (10km SE of the City. Bus 9 to stop ' Panoráma út'). Daily 09:00-18:00. In the first house the 'Living in the forest-steppe' exhibition can be seen. Also this place offers Botanical, Dendrology, and landscape experiences. You will get opportunity to know about the lifestyle of the people of the countryside, used farming items, local ornithological rarities and archaeological finds. Ft 200?. 21 Mu-Terem Art Gallery (Mű-Terem Galéria), Batthyány utca 24, ☎ +36 52 532836. 22 Tanner House (Tímárház), Nagy Gál István u. 6, e-mail: timarhaz@debrecenimuvkozpont.hu. Tu-F 10:00-17:00, Sa 10:00-14:00. 23 Statue of István Bocskai (Bocskai István szobra), Kálvin tér. 24 Csokonai Memorial tomb (Csokonai-síremlék), opp. Dorottya utca 39. 25 Csokonai Vitéz Mihály Statue (Csokonai Vitéz Mihály szobra), Kálvin tér. 26 Monument of Debrecen Family (Liberation Monument, Debreceni család Emlékmű), Csapó utca ~2. 27 Statues on Deri square (Déri téri szobrok). 29 Michael Fazekas memorial column (Fazekas Mihály emlékoszlopa), Benczúr Gyula utca 20..
30 Galley slaves memorial (Gályarabok emlékműve), Kálvin tér. 31 Kossuth Statue Composition (Kossuth szoborcsoport), Kossuth Square. 33 Peter Balogh's house (Balogh Péter-féle lakóház), Kossuth utca 18. Debrecen's most beautiful historic residential building. The house was built in the 18th century. In 1829, it was transformed by Litsman Joseph in Louis XVI style. The external facade of the house,-above the first floor windows,-decorated with fine ivy's frieze. Wing side of the court over the four arches are patterned the relief mythological figures. The house owners were Kazay pharmacist and Samuel Peter-Balogh merchant. 34 Csokonai Theatre (Csokonai Színház), Kossuth utca 10, ☎ +36 52 417811, fax: +36 52 410837, e-mail: info@csokonaiszinhaz.hu. The theater was designed by Anthony Szkalnitzky the renascent romantic style, in 1856. The facade is threefold. Three curved driveway to jump forward in front of the entrance area. The facade of the building decorated with Ornamental motifs in stylized Byzantine-Moorish style, also here by John Marschalkó two allegorical female figures and six poets statue placed. One statue of them was Melpomené, the muse of tragedy, the other Terpszikhore, muse of dance. The poets are on right Petofi, Kolcsey, Kisfaludy, on left Csokonai, Kazinczy and Vörösmarty. Floodlighting can enjoy at evenings. 36 Former First Savings Bank (Egykori Első Takarékpénztár Palotája), Piac u. 22-24 (Center - at Kossuth and Piac streets meet.). Now there are apartments. This is a three-storey mansard building with complex façade and with rounded corner. In addition to the Savings Bank, there were shops on the ground floor. On the second floor was a casino, in the basement a beer hall and a restaurant, and on the second floor 17 luxury rental apartments. The façade is richly decorated: there are allegorical figures and reliefs showing scenes of the industry, trade, agriculture. The building was planned by Rimanóczy Kalman, and the sculptural decorations were made by Alexander Somogyi. The Market Street facade has 14 axes. The ground floor facade is covered with windows. There is a small sweet shop and a large clothing store. Between axis 2 and 14 up to the second floor, the building is divided by six-six slender pilasters. .
37 First Savings Bank of Debrecen (Debreceni Első Takarékpénztár), Piac u. 22-24? (Center -). 38 Reformed College (Debreceni Református Kollégium), Kálvin tér, 16. 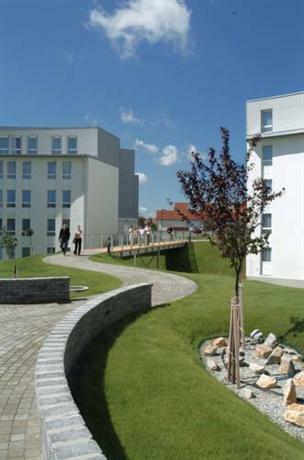 Other unit: Maróthi György College (Blaháné u. 15). - Built in classicism style, 1804-1816. Designed by Michael Péchy. In 1870-1874 was expanded with the courtyard wing, by Vasél Alajos plans. The wooden library and gallery made in classicist style, in 1823, it was Joseph Dohányosi works. 39 Hortobágy-mill (Hortobágy-malom), Böszörményi u. 1. Just from outside. Former windmill built in 19th century, now used as a storage. 40 Chamber of Commerce (Kereskedelmi és Iparkamara), Petőfi tér 10 (Near to the Railway Station), ☎ +36 52 500710. 41 Kolcsey Ferenc Reformed Teachers College (Kölcsey Ferenc Református Tanítóképző Főiskola), Péterfia utca 1-7 (Center), ☎ +36 52 518500, e-mail: info@kfrtkf.hu. 42 Lyceum tree (Boxthorn tree, Líciumfa), Fűvészkert Str.-Múzeum Str. corner (Center - Tram). According to legend, here argued with Valentine priest and master Ambrosius. The canon stuck a tree branch in the ground and spake thus: "It will be something in the new faith, when it is stuck in the ground grow into a tree!" Valentine priest gave the following answer: "Then it shall be tree." A small sprig grew into a tree, and braided the iron lattice window of the parsonage, thus symbolizing the consolidation of the Reformation. 43 Former Great Forest Vigadó (Nagyerdei Vigadó). This is an old bath house, built in classic style, 1823-1826. Designed by Ferenc Povolny. Now a restaurant. 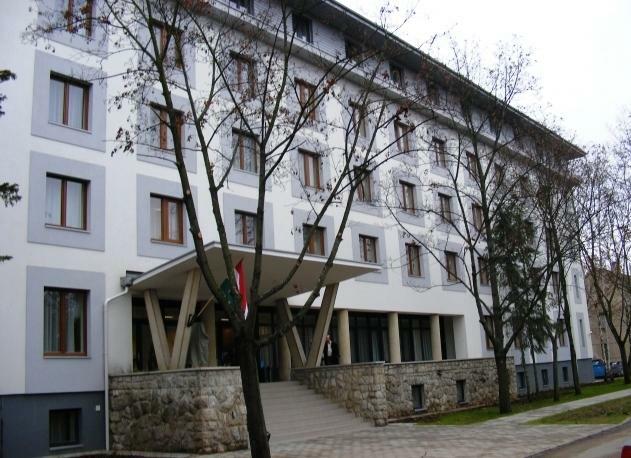 45 County Hall (Megyeháza), Piac St., 54 (Szent Anna utca corner), ☎ +36 52 507 524. Built in 1911, Art Nouveau style. Designed by Zoltán Bálint and Lajos Jámbor. Inside visible stained glass windows of the banquet hall, made by Károly Kernstok. 47 Living House, former General Credit Bank (Lakóház, volt Általános Hitelbank), Piac u. 45-47. Built in Modern style, 1937. Designed by Eugene Padányi Goulash. Its facade are four bronze statues by Alice Lux. Now there are Shops and a Fine Arts Studio. 48 Podmaniczky house (Podmaniczky-ház), Széchenyi Str. 1 (Center). This was a Tradesmen House. Built in classicist style, around 1820, later partly rebuilt. 49 Episcopal Office (Püspöki Hivatal), Kálvin tér 17 (Next to University of Debrecen). Built in eclectic style, 1888 Designed and built by Károly Fischer. 53 Former Diószegi House (volt Diószegi-ház), Széchenyi u. 6.. The former chief justice's living house. Built in the 1690s. Rebuilt in Baroque style in the 18th century. Modified for Stores. 54 Former Little Debrecen restaurant (volt Kisdebrecen vendéglő), Piac Str. 29/Halköz 4.. Catering company, a restaurant, a former small restaurant in Debrecen, 17th century origin. Expanded and rebuilt in Baroque style, in 18th century. Highly modified. Now is apartman house, store, restaurant, shops. 56 Susie Forest Railway (Zsuzsi Erdei Vasút), Ady Endre St (ZOO area), ☎ +36 52 310065. 57 Post Office Directorate (Postaigazgatóság épülete), Hatvan u. 5-7. (Center). Built in Eclectic style, 1929-31. Designed Munnich Aladar. 59 The former Löfkovics Artúr shop (Az egykori Löfkovics Artúr üzlet), Piac Str. 38. In this building was 'Arthur Löfkovics watch and jewelry shop'. In 1902 the city gave his collections include archaeological finds and numismatic collection of Transylvania, thereby laying the foundations of the city museum. 62 Csanak-house (Csanak-ház), Piac Str.-Arany János Str. corner (Center -). 63 Balmazújváros (Near to Hortobagy, by bus (25 km, half hour, every hour until 23:00), by train (half hour, every two hour, Ft 600)). Balmazújváros is proud of its culture and traditions. The town keeps and cultivates its traditions, especially local folk crafts. Sights here:Local History Museum, Peter Veres Memorial Exhibition, Semsey Palace, Thermal Spa, Big Backpacks Natural park (Nagyháti park). 64 Berettyóújfalu (by train must to change at Püspökladány (ten+ per day, around one and half hour Ft 1500-1900), by bus is better direct (37 km, half hourly until 20:00, an hour)). – Broken Tower, Spa. 65 Hajdúdorog (Train (40 km, every two hour, three-quarter hour, Ft 750), by bus (25 km, less than one hour, every hour until 22:40)). Greek Catholic Cathedral of the Presentation of Mary (Founded in 1764) symbolize here is the highest rate (over 80 percent) ,-of all Hungary,-who are Greek Catholic. Also here is an outdoor bath. 66 Hajdúnánás (By train 40 km, eight per day, an hour, Ft 930; by bus 43 km, 13-20 per day, one hour.). Ostrich Farm. 67 Hajdúszoboszló (19 km southwest of Debrecen, by train 15 mins, every half hour, Ft 400-800, by bus half hour, 20-30 per day). This is a very nice bath city, also excellent for a day trip. Remains of fort wall, Bell House, Europe's largest bath. 69 Nagykereki (Train (52 km, one hour+, nine per day, Ft 1120), only one bus per day more than one and half hour journey). Bocskai castle. 70 Nyíracsád (By bus 35 km, 15-18 per day, one hour.). Reformed Church. 1 Csokonai Theatre (Csokonai Színház), Kossuth Str. 10 (Center -), ☎ +36 52 417 811, fax: +36 52 410-837, e-mail: info@csokonaiszinhaz.hu. Cashdesk M-F 09:00-12:00, and 13:00-19:00. From Ft 1000. 2 Nagyerdő - The City Park (Debreceni Nagyerdő Természetvédelmi terület) (just north of the downtown). The 2280-hectare city park which offers fine walks as well as several opportunities for fun and entertainment. 3 Amusement Park (Vidámpark), Ady Endre út 1 ('Nagyerdő'). Not as large or impressive as the park in Budapest, but nevertheless boasts to be the largest such park this side of the Tisza. There are 15 rides including a fantasy castle, ferris wheel, and a children's railroad. Ft 200 plus Ft 300-400 per ride. 4 Zoo (Állatkert), Ady Endre út ('Nagyerdő'). Daily 09:00-18:00 (smmer). , together with the Vidámpark forms the Culture Park. Ft 1500. 5 Aquaticum Termal bath (Aquaticum Mediterrán Élményfürdő, Debreceni Gyógyfürdő), Nagyerdei Park 1 ('Nagyerdő'). M-Th 11:00-21:00, F-Su 10:00-21:00. With hot spring water is obligatory to visit. It is open all year, and is the major resort of the town. It features a water park, public pool, bath house, hotel, and restaurants. Two-hour tickets Ft 2150, sauna Ft 1550. 6 Skating Rink (Műjégpálya), Derék Street, 33 (SW), ☎ +36 52 537272, fax: +36 52 537273, e-mail: info@debrecenjegcsarnok.hu. Sa Su 09:00-11:30, 15:00-17:30, 18.00-20:30. Ft 1200. 7 Sport Complex (Oláh Gábor utcai sporttelep), Oláh Gábor utca 5. 8 Sport Swimming Pool (Sportuszoda), Zákány utca 4, ☎ +36 52 506676, e-mail: info@sportuszoda.hu. M-F 06:00-22:00, Sa 08:00-20:00, Su 08:00-19:00. The swimming pool complex offers a long course (50 m) competition pool, a short course (25 m) training pool, a learner pool, a Jacuzzi, a Finnish sauna, and an outside thermal pool (34-36 celsius). Ft 1340. 9 Botanical garden (Botanikus kert), Móricz Zsigmond Rd (Take tram 1), ☎ +36 52 512900. Arboretum Daily (Mar 21-Oct 20) 08:00-18:00, (Oct 21-Mar 20) 08:00-16:00, Orangery: M-Th 08:00-15:00, F 08:00-12:00. Weekends and holidays can not visit the greenhouses.. Ft 550. 10 Grasslands with Forest (Erdőspuszták) (SE 9 km). 11 Cemetery of heroes (Hősök temetője), Bölcs utca 16 (NW). 1 CIB Bank, Piac u. 1−3. (Center), ☎ +36 40 242242, fax: +36 1 4896147, e-mail: debrecenunio@cib.hu. M-Th 08:00-18:00, F 08:00-16:00. ATM 24/7. 2 Commercial and Credit Bank (Kereskedelmi és Hitelbank), Kálvin tér 8 (Center), ☎ +36 52 521 230, fax: +36 52 521261. M 08:00-17:00, Tu-Th 08:00-16:00, F 08:00-15:00. Tele Center ☎ +36 1/20/30/70 3353355. 3 Erste Bank, Downtown branch (Debrecen, Belvárosi Fiók), Hatvan utca 1/B. first floor 9. (Center), ☎ +36 40 222 222. M 08:00-17: 00, Tu-Th 08:00-16:00, F 08:00-15:00. 4 OTP Bank, Piac u. 45-47 (Center), ☎ +36 40 366388, fax: +36 52 457-077, e-mail: Informacio@otpbank.hu. M 07:45-18:00 Tue-Th 07:45-17:00, F 07:45-16:00. Traded Currencies: USD EUR, free WiFi; child- and wheelchair- friendly branch +☎+36 1 3666-388. 5 MKB Bank (Magyar Külkereskedelmi Bank), Vár utca 6/c (Center), ☎ +36 52 528110, +36 1 3733333, +36 40 333666, e-mail: info@mkb.hu.. M 08:00-17:30, Tu-Th 08:00-16:30, F 08:00-15:00. 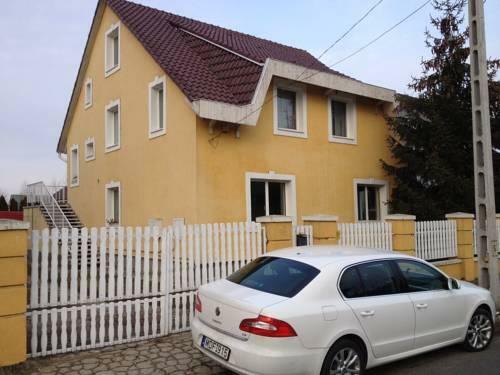 6 Raiffeisen Bank, Piac utca 18 (Center), ☎ +36 40 484848, +36-1 4848484, e-mail: velemeny@raiffeisen.hu. M Tu Th 08:00-16:00, W 08:00-17:30, F 08:00-15:30. ATM 24/7. 7 Debrecen Plaza, Péterfia utca 18. (Just north of the city centre and easily reached by tram #1), ☎ +36 52 456700, e-mail: debrecenplaza@klepierre.com. Restaurants, cafes: Daily 10:00-22:00. Cinema: M-Sa 13:00-23:00, Su 10: 00-23:00. Stores: M-Sa 09: 00-20:00, Su 10:00-18:00. CBA supermarket M-Sa 07: 00-20:00, Su 07:00-19:00. - Pharmacy M-F 08: 00-20:00, Sa 09: 00-20:00, Su 10:00-18:00. 8 Forum shopping mall (Fórum üzletközpont), Csapó utca 30. (Center. - Take bus: 11, 15, 22, 24, 31, 43; tram 1), ☎ +36 52 598-800, fax: +36 52 598-801, e-mail: info@forumdebrecen.hu. Shopping center: M-Sa 08:00-21:00, Su 09:00-19:00. Shops: M-Sa 09:00-20:00, Su 10:00-18:00. Spar: M-Sa 8:00-20:00, Su 09:00-18:00. Parking 24/7. A newer mall just a block east of Debrecen Plaza. It also has a food court and many stores - being larger and more diverse than Debrecen Plaza. 9 Délibáb shopping center (Délibáb üzletház), Ötvenhatosok tere 6/a. (North), ☎ +36 52 541710, fax: +36 52 541710, e-mail: info@delibabaruhaz.hu. M-F 06:00-24:00, Sa 06:30-21:00, Su 07:30-21:00. National Tobacco Shop, Spar supermarket (M-F 06:30-20:00, Sa 06:30-18:00, Su 07:30-17:00) , drugstore Markt, Chinese department store (men, women and kids fashion, accessories), Blue Rags fashion (Women's fashion retail) , Storage Box, Főnix Savings Bank, Rövidáru shop (women, men fashion), A Hundred Magic (chemicals, toiletries, household műanyagáru, kitchen and household equipment, sanitary paper products, gaming gifts, paper stationery, jewelry, decorative cosmetics. ), Monique bags (bags, travelers, luggage, wallets umbrellas and accessories) , Office stationery (office equipment, stationery, forms, copying, black-and-white and color laser printing, scanning, laminating, custom gift cards, calendars, preparing leaflets, stamps), Services: Life Center, Cedar Health Centre, Beauty Salon Hairdressers, Cutler Gym (fitness room), Kulcsmásoló (key cutting, locks, inserts, locks), Órás (Watch repair and shop). 10 Halköz shopping center (Halköz üzletház), Simonffy u. 4-6 (Centre), ☎ +36 20 8022248, e-mail: info@halkozuzlethaz.hu. M-F 09:00-18:00, Sa 9:00-13:00. High-Lander (Sport and Outdoor Clothing), Láng Sport (Nutrition), Nívó (Paper stationery), Civis Foto (Photo developing), CLC Debrecen (Christian Bookstore), Fok (Flag and Gift), Elyse ( Women fashion clothes), Ász Salátabár (cold dishes), Magild (Beauty Salon) , French Cosmetics, Hairdressing, Health shoemaker, Hungarian Automobile Club, Travel Agency, Computer shop, Tobacco shop. 11 Jozsapark Mall (Józsapark bevásárlóközpont), Szentgyörgyfalvi út 9. (N 5km, take bus #34, 34A, 35Y, 35A, 36, 36A). Daily 07:00-24:00. Covered Market, Library of Debrecen, Tesco (daily 06:00-20:00), Dm drogerie market, Okula optics , 'Angol Turi' clothes discount, Medical Devices Specialist Store, Pharmacy, Dairy and Milk Products Shop, 'Magyar' Bakery, Hús-Hentesárú Butcher Shop, Fruit Market (vegetables and fruits), Tüzépker (fuel), Office stationery store, Maja (Flowers & Gifts), Chinese (convenience store), Kertészeti Áruda (Horticulture store), Jozsa Park Bookstore, Jozsa Discount (food), Hi-Fi and Computers, Fortuna (tobacco, Newspapers), Fény Világ (Natural Grocery Store), Furniture and Furnishings Salon , Best (Clothing). 12 Malompark shopping center (Malompark bevásárlóközpont), Füredi út 27 (N one km), ☎ +36 52 483-080, fax: +36 52 745-605, e-mail: info@malompark.hu. Daily 06:00 - 23:00. Caffé Piazza D'oro, Catana Gift Shop, Cortesi bakery, Digi Customer Service, Havrics Gallery, Inmedio Newspaper, International Spar Hypermarket, Chinese Department Store, Magnet - Fashion, Malom Jewelry, Malom Pharmacy, Malom Park GSM, Meglepy and Gift Shop, Mobile Shop (Grill Mobile), Northline Change currency exchange. - Malompark Two stores:Adria Food Bar, Active Fitness, Brendon Baby Store, DKV Customer Service, Kalácsoda (bakery), Magyar Posta, Mill Park Small Market, National Tobacco store, Opti Markt Optics. 13 Park Center shopping park (Park Center bevásárlópark), Kishatár utca 9. (NW ~2km). Charles Vögele, C & A (clothing store chain), KiK (textile discount), Humanic (shoes), DM - Drogerie Markt, Hervis (sport mode), Brixcity (LEGO store). 14 Auchan hypermarket (Auchan hipermarket), Kishatár utca 7 (NW), ☎ +36 40 109010, +36 52 510500. M-Th 07:00-21:00, F-Sa 07:00-22:00, Su 07:00-21:00. Delivery , photo developing. Around two dozens shops, restaurants, service units: Elektro Outlet, Jysk, Post Office (M-Sa 09:00-19:00, Su 09:00-13:00 and 13:30-18:00). 15 Interspar hypermarket (Interspar hipermarket), Füredi út 27 (In the 'Malompark' Shopping Centre), ☎ +36 20 823 8066, e-mail: info@spar.hu. M-Sa 06:30-21.00, Su 08.00-19.00. Services: ATM, parking with 610 places. 17 CBA supermarket (CBA szupermarket), Péterfia utca 18 (In Debrecen Plaza), ☎ +36 52 6041621. M-Sa 7.00-20.00. Other units Kossuth u. 15. tel:+36 52 532-987; Derék út 68/B; Ribizli Street. 34., tel: +36 52 411771. 18 Coop supermarket No.3 (Coop szupermarket), Cimbalom Street. 1 (West 3km), ☎ +36 52 521221. Many other locations. Teleki u. 8-10.; Piac u. 40. tel: 56 516626. 19 Penny Market? (Penny Market diszkontáruház), Sámsoni út (Pázsit utca cnr. ), ☎ +36 29 339 300, e-mail: ugyfelszolgalat@penny.hu. M-Sa 07:00-21:00, Su 07:00-20:00. 2nd unit: Vincellér utca. (open M-Sa 07:00-20:00, Su 07:00-20:00). 20 Real discount store (Reál diszkont), Kossuth u. 43-47 (Center), ☎ +36 30 343-5733, e-mail: mail@real.hu. More units: Balmazújvárosi út 10. Tel 52 540-442; Szent Anna u. 38. Tel: +36 20 4295539; Vár u. 3. Tel +36 52 534722; Petőfi tér 10. Tel +36 30 3833204; Gyergyó u. 8 Tel. +36 52 530-181; Mester u. 1. Tel +36 30 383-3204; and a dozen more. 21 Spar supermarket (Spar szupermarket #960), Nagy Lajos király tér (North), ☎ +36 20 8237987, e-mail: info@spar.hu. Daily M-Sa 06:30-21:00, Su 07:00-20:00. More units: Csapó utca 30, Ötvenhatosok tere 6/b, Somlyai út 3, Szentgyörgyfalvi út. There are lots of nice cafes near the Great Church. 1 Cafe Melange, Egyetem sugárút 56. A very fine restaurant with amazing decor. 2 Csokonai restaurant, Kossuth utca 21. Main steak house of Hungarian style, on Kossuth street, right in front of Csokonai Szinház (opera house). StartersFt 1,050-2990; Mexican dishes Ft 1,850-2,190; soups Ft 800-1300; poultry dishes Ft 2090-2390; fish dishes Ft 2500-3500; pork dishes Ft 2090; beef dishes Ft 2400-3000; noodles Ft 1450-2450, pizzas dozen types Ft 1090-1850. 3 Flaska restaurant (Flaska Söröző), Miklós utca 4 (by the Apollo movie theatre). Has nice Hungarian dishes. 5 Kashmir Indian restaurant, Péterfia utca, ☎ +36 52 321 560. Not too bad if you've never had Indian food before. For those who have, do not have high expectations, and be prepared to be paying over the odds for food which all seems to taste the same. Soups/appetisers Ft 1200/1800, kebabs and platters Ft 2100-4900, main courses Ft 2600-3200, vegetarian dishes Ft 1600-2000, seafood Ft 4000-5500, sweets Ft 800. 6 Korzó Ételbár & pizzéria, Hatvan utca 1 (This reastaurant is on the left side of the Great Church), ☎ +36 670-2953439, e-mail: korzorendeles@gmail.com. 09:00-23:00. Small fast food place. Quick, polite service. Cards accepted, english spoken, big terrace. Ft 1300-1900. 7 Govinda Indian restaurant, Magyari u. 2, ☎ +36 (30) 372 9959. Mo-Fr 12pm-2pm, only open for lunch. A vegetarian restaurant and is the closest you can get in the city to homemade Indian cuisine. 8 Sawadee Indian restaurant, Széchenyi utca, 44, ☎ +36 30 610 0816. M-Su 11:30-22:00. Indian and Thai cuisine. Takeaway available. Some people complain about the cleanliness of the place. Alshami Arab Étterem (Alshami Arabic restaurant), Péterfia Utca 13-19, ☎ +36 30 255 0000. 1 Calico Jack Pub, Bem tér 15. 2 Palma Pub, Simonyi út 44 (near the University). Very popular with people visiting the town on business. Also here is offered a variety of European cuisines. 3 Roncs, Csapó u. 27. Wreck pub is nice for a drink. Really cool place. Around 4 Hal köz (old fish market), near the main square, you can find good places. 1 Hostel (Debreceni Egyetem és a Kölcsey Ferenc Református Tanítóképző Főiskola Kossuth Lajos III. Kollégiuma), Egyetem tér 1., ☎ +36 52 238500. 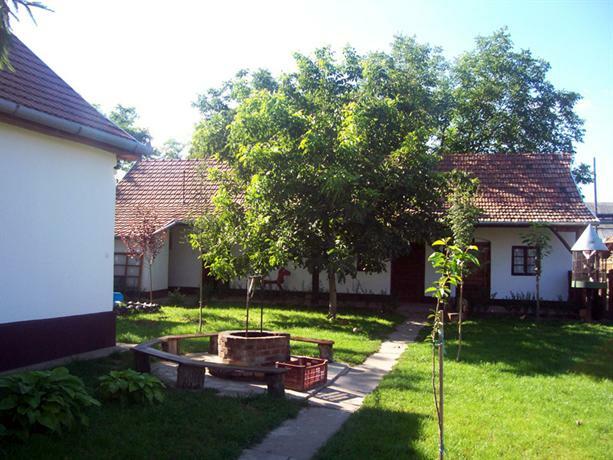 3 Dorcas Center & Camping, Erdőspuszta (SE 6 km). Bungalow, motel, cottages, camping area. From Ft 2000 p.p..
4 Stop Pension (Stop Panzio), Batthyány utca 18 (in the centre, take a tram to stop County Hall and walk east to Mu-Terem Art Gallery turn north 100m), ☎ +36 52 420301, fax: +36 1 6901861, e-mail: stoppanzio@vnet.hu. Calm and pleasant. Ft 7100/9400 including all tax. 5 Cívis Grand Hotel Aranybika, Piac utca 11, ☎ +36 20 3636121, e-mail: info@hotelaranybika.com. Next to the Reformed Cathedral. The present Art Nouveau building was built in 1915. Ft 14 000/16 000. 6 Centrum Hotel (Cívis Hotel Kálvin), Kálvin tér 4 (North of the Great Church), ☎ +36 52 418522, +36 52 525300, fax: +36 52 525301, e-mail: info@centrumhotel.hu. In centre, near the Reformed College and the Great Calvinist Church. From Ft 18 000. 7 Hotel Platán, Somlyai u. 10 (5 minutes from the town centre, near the airport: take bus 44 from Debrecen Railway Station), ☎ +36 52 537700, fax: +36 52 537 703, e-mail: info@platanhotel.eu. A four-star hotel Single/double from Ft 14 400/19 800. 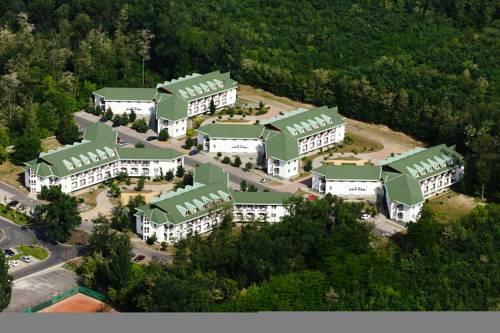 8 Hotel Grand Forest (Hotel Nagyerdő), Pallagi út 5. From Ft 15 000. 9 Sport Hotel, Olah Gabor St, 5 (right next to the DVSC stadium), ☎ +36 52 514444. Prices include buffet breakfast, use of closed parking spaces and Internet access Ft 13000/17100. 2 Post Office, Debrecen #1 (Debrecen 1. ), Múzeum utca 3./Hatvan utca 5 (Center), ☎ +36 52 315206, fax: +36 52 523055, e-mail: ugyfelszolgalat@posta.hu. M-F 07:00-19:00, Sa 08:00-12:00, Su closed. 3 Post Office, Debrecen #19 (Debrecen 19 Auchan Posta), Kishatár út 7. 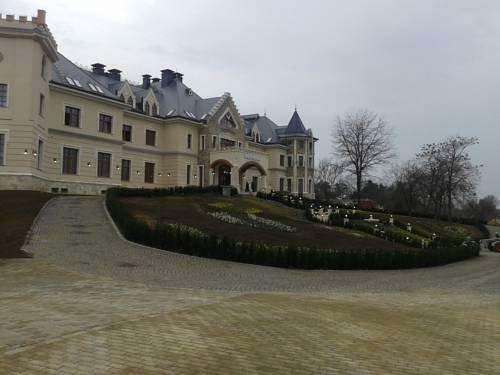 (NW-W 2 km), ☎ +36 52 349970, fax: +36 52 349970, e-mail: ugyfelszolgalat@posta.hu. M-Sa 09: 00-19:00, Su 09: 00-13:00 and 13:30-18:00. 4 Post Office, Debrecen #20 (Debrecen 20 Malompark Posta), Füredi út 27. (N 1 km), ☎ +36 52 417630, e-mail: ugyfelszolgalat@posta.hu. M-F 08:00-19:00, Sa 08:00-12:00, Su closed. 5 Post Office (Debrecen 21. TESCO posta), Kishegyesi út 1-11 (W 500 m), ☎ +36 52 534841, fax: +36 52 324499, e-mail: ugyfelszolgalat@posta.hu. M-F 08:00-19:00, Sa 09:00-16:00, Su closed. 6 Consulate General of Russia (Orosz Föderáció Főkonzulátusa), Arany János utca 1 (Center), ☎ +36 52 536926. M, W, F 9:00-12:00. Eger — best known for its castle, thermal baths, historic buildings (including the northernmost Turkish minaret), dishes and red wines. Hortobágy — excellent for a day trip. This is an 800 km² national park in Eastern Hungary, rich with folklore and cultural history. The park, a part of the Alföld (Great Plain), was designated as a national park in 1973 (the first in Hungary), and elected among the UNESCO World Heritage sites in 1999. The Hortobágy is Hungary's largest protected area, and the largest semi-natural grassland in Europe. - Until recently it was believed that this alkaline steppe was formed by the clear cutting of huge forests in the Middle Ages, followed by measures to control the course of the Tisza River, allegedly resulting in the soil's current structure and pH. However, Hortobágy is much older, with alkalinization estimated to have started ten thousand years ago, when the Tisza first found its way through the Great Hungarian Plain, cutting off many streams from their sources in the Northern Mountains. The formation was finished by grazing animals, mastodons, and wild horses during the Ice Age, followed by domesticated animals. The Nine-holed Bridge is a popular site. Traditional T-shaped sweep wells dot the landscape, as do the occasional mirage of trees shimmering in the reflected heat of the Puszta. Lake Tisza (Tisza-tó). Also known as Kisköre Reservoir (Hungarian: Kiskörei-víztározó). This is the largest artificial lake in Hungary. It is at the southeastern edge of Heves county. Following the reservoir's completion, Hungarians began to flock to the site for holidays, since it compared favorably with the crowded and expensive Lake Balaton, the traditional holiday site. As a result, tourist infrastructure has been developed on the reservoir—renamed Lake Tisza—and the government has designated it an official tourism destination. - The lake (or reservoir) has a new local ecology with a diversity of birds, plants, and animals. Nyíregyháza — a smaller city with several parks and squares and the water resort of Sóstó.